Our last day in Nice, and it's sunny, bright and beautiful yet again. After breakfast we hit the shops one last time and I buy a nautical-style Nice souvenir T-shirt. I know that's a bit cheesy, but it had to be done. In my earlier post I mentioned the planes flying in and out of Nice airport. Here's another one. Although you may need a microscope or a magnifying glass to see it! For our final lunch in Nice, we go back to the same restaurant we had lunch in yesterday (pizza again) and in the afternoon we go for a final walk and spend some time in our favourite park, the Albert 1er gardens, which faces the promenade. Sadly all good things must come to an end, and so by late afternoon we collected our suitcases from the hotel, boarded the no. 98 bus and made our way back to the airport for our evening flight home. Our holiday in Nice may have been very short, but it was very sweet indeed, and I can't wait to get back there again someday. After a little late morning stroll it was time to revisit one of the things we did on our very first trip to Nice in 2003: take the "Petit Train" up to the Castle hill. The little train leaves from the promenade, and the round-trip takes about an hour. Have a look at http://www.trainstouristiquesdenice.com/ for more information about the route etc. Up early for a very busy day ahead. You never forget you're in France, particularly at breakfast time, when you are presented with the traditional croissant and crusty roll :) Pain au Chocolat was also in the equation today. It's a beautiful, sunny morning with the temperature in the mid to high 20s. Nice in September is the perfect place to be, and today it's all about shopping. But not too much shopping though, as we're travelling with hand luggage only. (By the way, I bought one of those cabin-sized "World's Lightest Luggage" cases for this holiday and I would definitely recommend them for travelling on short breaks for up to three nights). There are subtle little changes here and there - a newsagent's and a sports shop which we used to frequent have now been closed down and replaced by other businesses. Record shops are still a must for us on holiday, even if these seem to be sadly dying out in most places. At least Nice still has the Virgin Megastore and FNAC, both at opposite ends of the Avenue Jean Medecin, the city's main shopping street. After a big chunk of the morning spent in both stores, I emerged with 2 DVDs - the new Calogero live DVD and the production of the Cleopatre musical starring Sofia Essaidi. I bought the soundtrack album from it four years ago. I'm a bit of a sucker for these French musicals. Faithful travelling companion meanwhile got a couple of CDs, however just for a big change I didn't get any this time round as nothing really floated my boat. I've been out of the loop with French music for the last 3 years or so and need to do a lot of catch-up! The weather gets warmer and I'm starting to get tired. Time for lunch. Let's go to the Old Town! You can walk from new Nice to Vieux Nice if you want to, but the tram service is very frequent during the day so it was really handy to jump on a tram on the Avenue and take it all the way to Place Garibaldi. Tickets are 1 euro per journey, buy them at the ticket machine at the tram stop and remember to validate the ticket once on board. You can also buy an all-day unlimited travel ticket for 4 euros, which I would recommend if you want to see a lot of the city in a short space of time. One thing I'll say is that the tram is a very popular way to get around however it's always very packed too, so if you're using this mode of transport be prepared for standing room only, and keep your eye on your handbags, wallets and purses. (Having said that, we still found Nice a very safe city by day and night). Above: the newly renovated Place Garibaldi. After dinner we did more exploring, down to Cours Saleya which is just wall-to-wall bars and restaurants, still a lot of them specialising in seafood if that's your kind of thing. Through a little gate/tunnel and you're at the top end of the promenade with what looks like a synchronised parade of white cars! By late afternoon I'm really struggling and a stop for a cool orange juice is very welcome indeed. However, I'm not firing on all cylinders and on the way back to the hotel I end up having a bit of a freak fall, which probably wouldn't have happened if I wasn't so tired. Not too much damage done, apart from a few bruises, a couple of cuts and a huge dose of embarrassment :( Oh, and a very sore, bruised knee which, as bruises do, got more obvious as the week went on. Just as well that I only wear cropped jeans/trousers and not shorts! Despite my distress it didn't put me off enjoying another fine evening in Nice. After the overwhelming amount of hot guys spotted in town on my first night, it was inevitable that it wouldn't be quite so good tonight. Still good though :) Ditto for faithful travelling companion, who remains very impressed by the female population of Nice. The main course was a more familiar vegetable couscous and you can't miss the opportunity to try a bottle of Tunisian wine either, well can you? After our meal we went back through the old town where a few of the bars and restaurants were surprisingly closed. Not sure if this was because it's a Tuesday, or the time of year, or what reason. Anyway we hung out in a bar which was showing the France v Belarus match, and then headed back on a tram. We didn't go straight back to the hotel - it was time for a midnight walk down the seafront on yet another warm, calm evening. ﻿Finally getting round to posting this at long last! Firstly a little explanation: due to our personal circumstances this year we had to leave it very late to book our summer trip, and also had to book a shorter one for three nights only, from Monday 10th September for three nights, returning on Thursday 13th September. So with it all being very last-minute it was a very easy decision to make - to return to somewhere we've visited before, which didn't require too much planning or research, and which we could also reach easily with direct flights. One destination ticked all the boxes - Nice. Result! The first time we visited Nice was in 2003, then in 2005 and most recently in 2008. Which suggests that it might be a rather good place to repeatedly visit! Yes I'm biased, but I completely love the place and I don't think there will ever come a time when I tire of it. So what is just so wonderful about Nice? Well, the location for starters. It's a big city with good transport links to lots of other great places on the Cote D'Azur. In previous years we've independently travelled by bus to Villefranche and by train to Cannes and Monaco, in addition to organised bus tours to Ventimiglia, (just over the Italian border), Monaco, Eze and Saint Paul de Vence. But you don't even have to leave the city as there is so much to see and do. As our time in Nice was limited this time round, we decided not to go too far away but just hang out in the city and slow the pace down. After what has been a completely disastrous non-event of a summer weather-wise, it was somewhat disorientating to arrive at 8.00 pm into a beautiful, sunny evening in Nice. As usual, on arrival at the airport, get the no.98 bus (4 euros) which takes you right along the seafront and beyond, dropping tourists off along the way. Sunbathers, dog-walkers and people strolling along the prom on a beautiful evening, people eating outdoors....it's another world, but with a reassuring familiarity that you're "coming home" in a way. This time we were booked into a very centrally located hotel, just a couple of minutes walk from the Promenade des Anglais and also very close to our favourite part of the city: the Rue Massena and the surrounding streets which are packed with a great choice of eateries. OK, so it's mainly aimed at the tourists, but the food is still very good quality nonetheless. Aah yes, the food. Now that is one of the best reasons for coming to Nice. If you love pasta and pizza as I do, then you will be in heaven. Unlike Italy though, pasta is served as a main course here rather than as a 'primi piatti'. So let's have a starter then. How about that traditional French favourite, soupe a l'oignon? Although there aren't so many obviously visible signs of the worldwide recession in Nice (there aren't so many vacant shop premises for example) the most noticeable thing is that the prices have been hiked up. Not quite to Norwegian levels (!) but that little bowl of soup cost 10 euros. I always thought the cost of eating out was lower in Nice than it was in Paris - don't know what it's like in Paris now, as I haven't been there for a few years, but it's certainly become much more pricey to eat out in Nice. But we've saved up our euros and we are on holiday after all! Needless to say we order a bottle of the local Provence red to accompany our dinner. I'd forgotten how fabulous it was to be able to sit outdoors at 10.00 pm in September wearing a short-sleeved top and not even needing a cardigan. How good would it be if we could have that kind of climate and culture? After dinner we go for a stroll round some familiar haunts and take a quick walk down the seafront. No sign of the Michael Jackson impersonator this time though. Although we only arrived in Nice at 8.00 pm, we certainly made the most of our first night there. As ever, the place is packed with tourists from all over the world and a cosmopolitan mix of locals. And two people from Scotland who are very happy to be back! Mayes also added that Empire Of The Sun would not be chasing current trends on their second release, and were aiming for a 'timeless' sound similar to their debut. "One of the tricks with Empire is to have a certain sense of timelessness. Not nostalgia for the sake of it, but a certain musicality," he added. "Those sort of feelings go beautifully with Nick's voice. It can be really futuristic, it can be anything. It's not just a dubstep record that's going to be cool for three months." The challenge of finding 50 songs that I liked in 2012. This weekend the clocks will be going back an hour, taking us into the darkness of winter and that phase where the clock starts to tick relentlessly down to the end of the year. It's also the season when this blogger turns to thoughts of ....compiling my annual chart. Once upon a time on this blog, the biggest problem with doing the annual top 50 was deciding what to leave out. But five years is a long time in music, and over the past couple of years I've got so disillusioned with it all. I still believe that there is good music out there, you just have to look for it. But even that is such an exhausting, time-consuming task. It's taken me a couple of years to put my music collection onto iTunes - and I've still got a long way to go yet - but during that time I've been rediscovering the long-forgotten riches, rarities and obscure oldies of my music collection, many of which turned up on Retro Saturday in the past. Turning away from new music has made it much harder to reflect what's going on in the present, which accounts for the lack of topical music-related posts/album reviews etc on this blog. However, with an eye on the calendar I notice that exactly three weeks from today, my annual top 50 countdown will begin. I'm going to start shortlisting it from this weekend: hopefully it won't be too short a list!! There will be the odd little 'technicality'a.k.a. 'bending the rules' along the way of course, as the qualifying period will include songs which were maybe released outwith the UK in 2011 but not released here till 2012, also songs released in December 2011 which missed out on last year's countdown will be eligible. Anyway I'm going to focus on this little journey of discovery through 2012's musical delights over the next couple of weeks so once again there won't be too many blog posts during that time, apart from a couple of outstanding ones which I've got planned over the next few days. We're now in that season of rumours, speculation and gossip about Melodifestivalen and Eurovision - which can be fun, fascinating, frustrating and annoying all at the same time! However, the facts are finally beginning to emerge one by one. On Wednesday 24th October it was announced that the very popular and highly successful Gina Dirawi would return for her second consecutive year as presenter - but she's got a new co-presenter this time: none other than (drum roll.....) Danny Saucedo! I think they'll make a great combination, although this is definitely a sign that SVT is aiming the show at a younger viewing public. I was actually surprised to see Danny return to MF in any capacity, as I thought he was finished with the show after his 'schlagerfiasko'-strop after the 2012 final. Although if he had returned as a competing artist rather than presenter, I was hoping that it would have been in a reunited E.M.D. Radio Sweden have a short interview with Gina and Danny at http://sverigesradio.se/sida/default.aspx?programid=2054&play=2054&playtype=Live and they're planning a lot of song and dance and some attention-grabbing interval acts! OK that's enough facts, now let's get back to the speculation...! SVT's still saying nothing about its presenting plans for Eurovision itself, although I did read somewhere recently that they were considering a solo host. This would certainly be a departure from the over-presenting of recent years (come on, do we really need three presenters??) however I would still love to see Måns Zelmerlöw and Sarah Dawn Finer presenting ESC together. Sarah has confirmed she will not be competing in MF-2013, so there's all the more reason for her to present the ESC final! 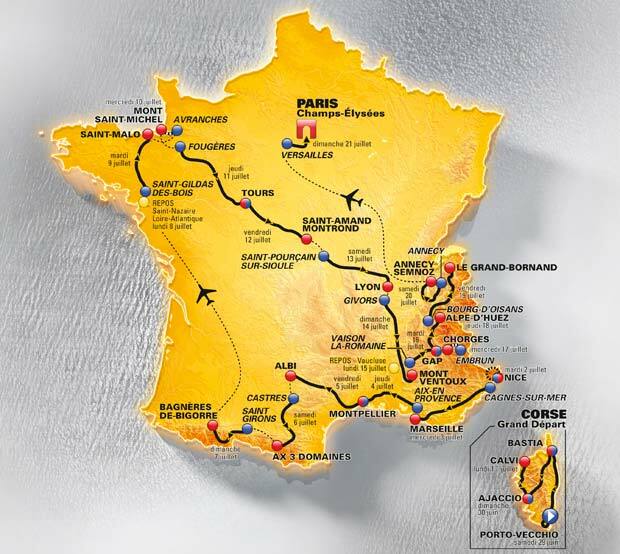 We've hardly had time to catch our breath after the extraordinary last few months in the world of cycling, but the route for next year's Tour de France was announced today. A very interesting route too, with a heavy focus on the south and east of the country. I'm very excited about the race starting in Corsica, before heading to my favourite French destination, the fabulous city of Nice, for a team time-trial. There are also some fierce climbs along the way, including iconic Tour favourites Mont Ventoux and L'Alpe d'Huez. Mor ve Ötesi are coming to London! There are exciting times ahead for Mor ve Ötesi fans: there's a new album, Güneşi Beklerken, due for release in November. If it's anywhere near as good as Masumiyetin Ziyan Olmaz, then it should be a cracker. I love that band. How do we rid cycling of the cheats? It's been a tough few weeks for us cycling fans. For a start, you have to explain to non-cycling-fans that not every cyclist takes performance-enhancing drugs, and yes, believe it or not, there are clean cyclists in the sport. Recent weeks have seen the Lance Armstrong legend destroyed under the weight of investigation and scandal, that he was involved in years of very sophisticated doping and cover-ups, along with his US Postal Cycling team colleagues. How do you convince people about the greatness of cycling, when they only read about the dark side? Confession time: I'm not jumping on an already packed bandwagon, but I never liked Lance Armstrong. At first, we were all taken in, we were all inspired that someone had not only made this fantastic recovery from cancer, but had gone on to win the world's greatest bike race. We cheered his heroics, and viewed him as an inspiration. But as time progressed, his arrogance began to annoy me. He wasn't just the multiple winner of the Tour, he was above the Tour, above criticism, powerful and untouchable. The arrogance grew, and he became more and more unbearable. He was just too good. 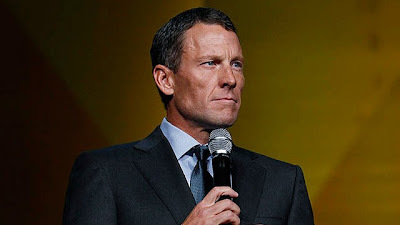 Today the UCI - the sport's worldwide governing body - accepted the recommendations of the investigation carried out into Armstrong and his colleagues, which has given us some eye-popping revelations in recent weeks, and which has confirmed our worst suspicions. Armstrong's been stripped of his seven titles and erased from the Tour de France's recent roll of honour. Many more cyclists have joined him in the hall of shame, in the past and present and unfortunately they won't be the last. So how do we rid cycling of the cheats? That's a tough one. My own view is that life bans from the sport for cyclists and officials involved in doping would be a good start and would restore trust and credibility. Laugh if you must, but I believe there are still clean riders in this great sport: but it's up to those running the sport to take real, meaningful action against the cheats, rather than just meaningless words, lip service and limited bans. But will they? 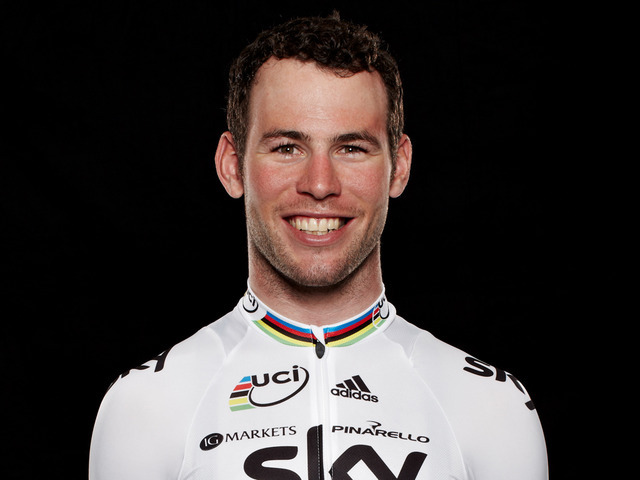 Here's a sight you won't be seeing anymore - Mark Cavendish in the colours of Team Sky. A few days ago, Cav announced the news we've been expecting to hear for a long time: that he was quitting Team Sky and signing for the Belgian-based Omega Pharma-Quickstep, which is likely to be more conducive to his future sprinting ambitions. It's certainly a momentous change at this stage of Cavendish's cycling career as he is also leaving a couple of long-term key supports behind - his long-term sidekick and lead-out man Bernie Eisel is remaining at Team Sky, as is his coach Rod Ellingworth. 2012 was an unforgettable summer for British pro-cycling, topped by Bradley Wiggins' Tour de France win and Chris Froome's impressive TdF and Vuelta campaigns. But seeing Cavendish in the unfamiliar role of support act and domestique for Team Sky was not what we'd come to expect from the king of sprints, and the body language spoke volumes. With hindsight, I was never too convinced by the Team Sky-Mark Cavendish partnership, although I was initially excited by the prospect of an all-star British team. However, the priorities of Team Sky appear to lie in the GC, the long haul and competition-crushing tactics rather than the quick burst to the finish line, and it's pretty understandable that Cav needed to move on to further his own career and perhaps leave a space on the team for a cyclist geared more to that kind of set-up. But that's not just a decision for a sprinter to make: all is well now, but how long till Chris Froome makes his way out of the Team Sky exit door? Or will he be happy to bide his time until he assumes the role of team leader? Whilst visiting an event at the SECC in Glasgow last week I took this photo. This is The Hydro, a 12,000 seater arena currently being constructed adjacent to Glasgow's other massive riverside concert and exhibition venues, the SECC (nicknamed the Big Red Shed, although it's not red anymore) and the Clyde Auditorium (nicknamed the Armadillo). Given Glasgow's fondness for affectionate nicknames for architecture/structures, I wonder what The Hydro - which is just along from the Squinty Bridge of course - will be nicknamed? Actually I have read a couple so far, but they are so rude that I wouldn't even think about publishing them here :) Clean answers only! 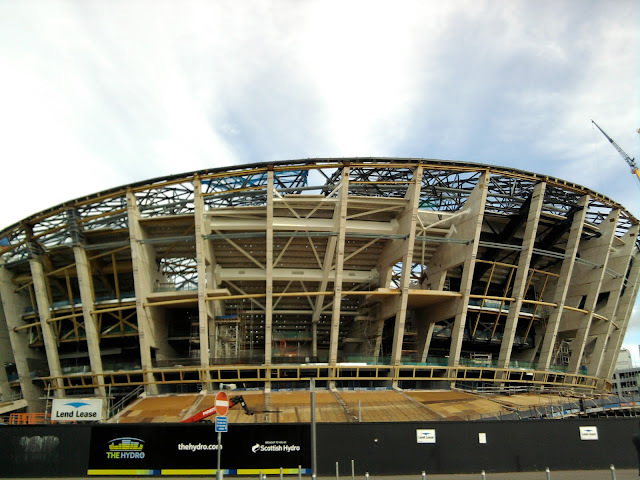 When it's completed and opened in September 2013, The Hydro will be Scotland's biggest national indoor arena. I guess it will be our answer to the O2 Arena in London! It promises to host mega-concerts by international artists. I only hope they get the acoustics sorted, as the thumpy-thumpy big shed was never known for its acoustic subtlety. In case you're wondering, Night of the Proms is not to be confused with the Last Night of the Proms, so don't expect all that Jerusalem/Rule Britannia/Land of Hope and Glory stuff. Because the Night of the Proms that I'm talking about is a series of concerts which has been on the go in Europe for many years, (even though they are unheard of in the UK) and which involve international and local artists performing with an orchestra. My first encounter with the NotP was back in the mid-90s, in the days before digital satellite TV, when you could watch Dutch TV channels RTL-4 and RTL-5 (before the killjoys decided to encrypt these channels). Which reminds me, I must do a post sometime about those TV-watching days :) but I digress....that year I tuned into the Night of the Proms show being broadcast on one of those Dutch channels, because my favourite Belgian band Clouseau was appearing. Even back then, I loved the combination of pop/rock with an orchestral backing so I was hooked. However, there were no more opportunities to watch these concerts, the years passed and I gradually forgot about them. I didn't realise that these shows were still going, however I read over the weekend that the latest NotP concert was staged in Sweden, which starred Sarah Dawn Finer, Anastacia, Art Garfunkel and the one and only John Miles who has been involved in these shows for many years now. If you check out YouTube there are lots of clips from old shows staged in the Netherlands, Belgium and Germany, where artists including Martin Fry, Tony Hadley, Seal, and the Alan Parsons Project to name some, have all appeared.